We are not currently taking new students! when we resume taking new students. "Welcome to the Mississippi Academy of Arms. 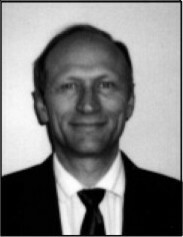 We offer group and private instruction in the Traditional Western Martial Arts of Classical Fencing & Historical Swordsmanship and also in the Practical Self-Defense Martial Arts of Goju-Shorei Weapons & Eskrima, for men and women, boys and girls of all ages, levels, abilities, and disabilities. 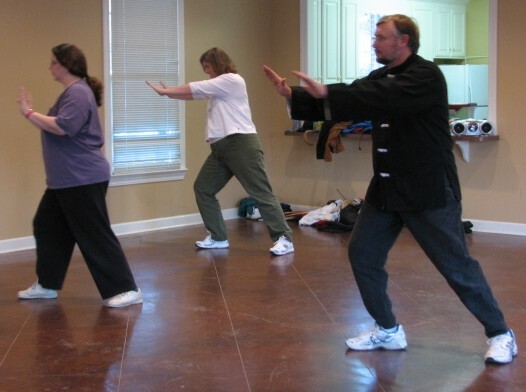 In the interest of promoting physical and mental health in the community we offer classes in Tai Chi for Health & Relaxation, Walking Cane Fitness & Self-Defense, and Wei Chi (Go) for Intelligence Building for Senior Adults. 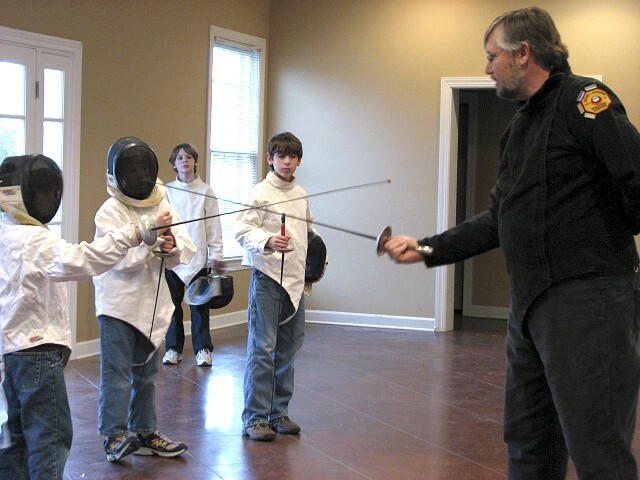 This six week course presents an overview of all the styles of fencing and martial arts taught at the Mississippi Academy of Arms, while teaching the basic foundational elements found in each style. 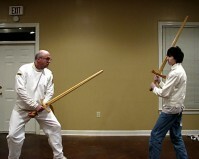 Persons interested in learning more about Traditional Fencing and the various classes offered at the Mississippi Academy of Arms should take this six week course to help them decide if these martial arts are something they want to commit more of their time to studying. 5:00 - 5:30 - Tai Chi for Health and Relaxation (Senior Adults, Adults, Youth and Children) FREE to Moms (and Dads) who have a child that attends Fencing or Go classes at the Academy. 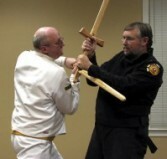 Want to learn how to swordfight like the Knights of old? 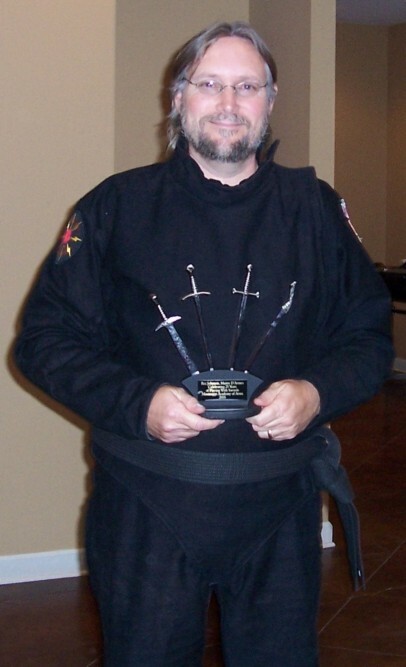 receives award from his students celebrating 25 years of teaching Classical Fencing and Historical Swordsmanship. Persons interested in learning more about the Traditional Western Martial Arts of Classical Fencing and Historical Swordsmanship or about the Goju-Shorei Weapons System, are encouraged to take this course. using a common walking cane. The walking cane is the most practical weapon of self-defense available to us today, because it is the only weapon left which can be freely carried on a plane, in a court house, school, church, to a sporting event, and anywhere in the world without restriction and without a license or a permit. this very practical form of self-defense contact us. 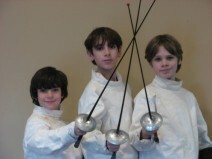 "My Fencing Master and My Friend"
Copyright © 1980 - 2011 All Rights Reserved.